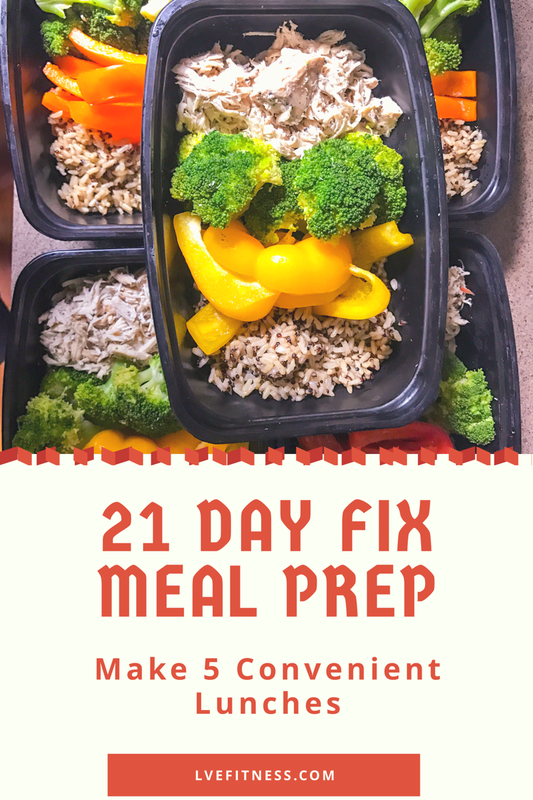 Click here for My Chicken Meal Prep Recipe. 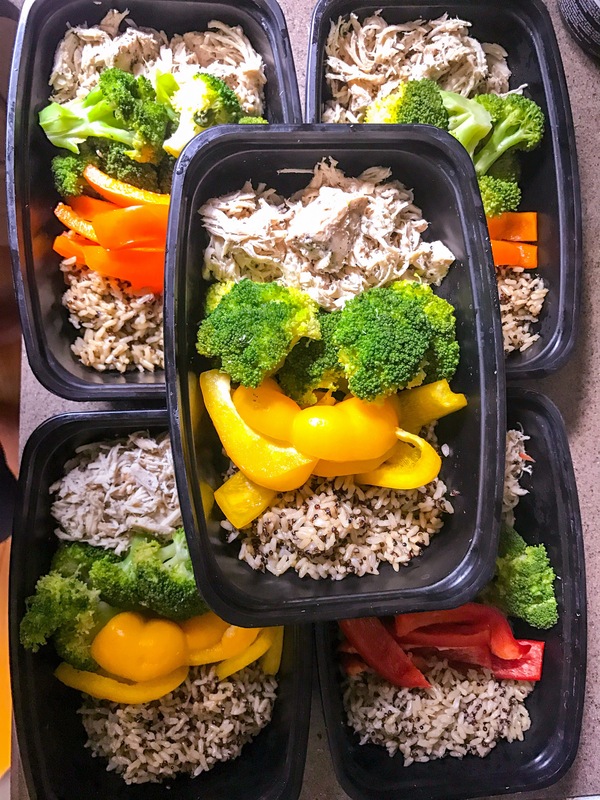 This is a great way to make enough shredded chicken for lunches and dinners for the week. For the Quinoa, I usually buy the microwaveable pouches from Costco. They are quick, easy and make 3 servings per pouch. I steam the broccoli in a large pot with just enough water to cover the bottom of the pot. I cook it until the broccoli is tender enough to puncture with a fork. Finally, I slice and divide the peppers into 5 even servings.